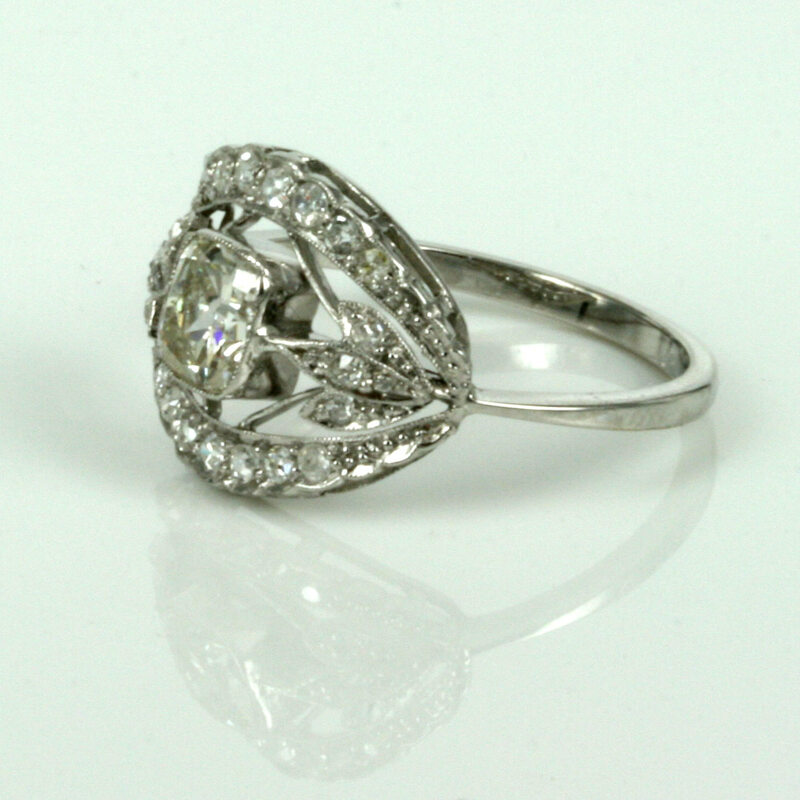 Art Deco diamond engagement ring made in platinum. Product code: 1755 Categories: Sold Items, Sold Rings. Oh how wonderful are Art Deco diamond rings! This Art Deco diamond ring would make a perfect diamond engagement ring and will always be looked upon with admiration. Made in the 1920’s, this Art Deco diamond ring is set with one central diamond in a milgrain setting, and weighs 0.90 carats. It is a J colour and Si clarity, and the colour of the diamond looks so good against the pure white of the platinum. On each side are 7 diamonds graduating in size, and a further 3 on each side of the centre diamond, and these diamonds have a total weight of 0.34 carats and are set amongst that wonderful fine wire work that can only be done with jewellery made in platinum. This ring would make a perfect example of an Art Deco diamond engagement ring, or a special ring for any special occasion.